It's traditional now that every April I read something by Zola for Fanda's Zoladdiction event. This is the second time I participate and the second Zola book I read and admire. Last year Germinal was an epiphany for me, so this year I decided to read the first book in the Rougon-Macquart series to see how it all started. The Fortune of the Rougons didn't strike me as being as great as Germinal, but then what is? Nevertheless, I was impressed by the setting and the characters, and the mood of the novel. It covers the story of one family in a provincial town of Plassans during one of the numerous french revolutions. I'm afraid I didn't get what that particular revolution was about, as my knowledge of French history is very poor. There was some Bonaparte, but apparently not THE Bonaparte, who wanted to rule and the workers who wanted Republic, as usual. But not understanding the politics didn't prevent me from admiring the ways the family took part in it and rose to power through it. The members of the Rougon-Macquart family are very different, and they are all awesome in their vices. There are some virtuous characters among them, but their fate is far from great, which is, unfortunately, how life is. 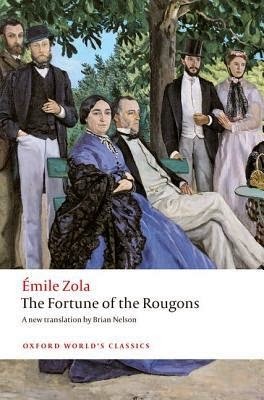 I'm not usually a fan of reading about the hard lives of poor people of about the dull life in the province, but somehow Zola makes me unable to put his books down, although those are mainly the things he writes about. I love it when such things happen to me! I can't finish this review without mentioning Silvere's and Miette's sad and beautiful love story. Those children are such endearing idealists! Their love is so refreshingly pure and devoted that some of their scenes nearly made me cry. A revolution is a horrible thing indeed! Impressive, very impressive. A great beginning of the great series. I started reading Nana in the beginning of the month and although it is very atmospheric and everything you'd expect from a great author, it just doesn't resonate with my current mindset, so I put it on hold. In a way it felt a bit too much right now, it's quite overwhelming to get a grasp of this Paris city life and all those numerous lovers and affairs and gossiping. I actually had the same thought - it's probably not going to be as good as Germinal, but then again, what is :) I'm glad you liked your pick and it actually sounds a bit more like what I would also appreciate at the moment. I found that keeping up with all the lovers was difficult too. My knowledge of the Second Empire is also very sketchy, so the politics and society of that time are unfamiliar to me. But I'm glad I stuck with it - it was a satisfying read in the end and ceratinly makes me want to read more Zola. Ah, another Zola to add to my list. I am still in the process of figuring out which Zola to get next. Like you, Germinal was my first. Where does one go from there???? Someone needs to write up a list of Zola's to read in order according to emotional and mental impact. I think that would be helpful. So nice to see a review of Zola, one of my favorite writers -- I think he's so unappreciated! I haven't read this one yet but it's on my list, naturally, since I want to complete the entire series. Then, I think I'll go back and reread them in the order in which they were written. I've heard it's okay to skip around but it would be interesting to read them sequentially. Thanks for linking your review to the Back to the Classics Challenge! I invite you all to the Reading Zola blog: https://readingzola.wordpress.com/. 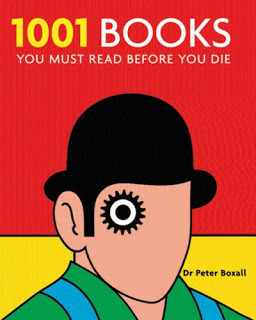 It has reviews, background material and a list of recommended reading order. It helps you to follow the stories in more or less chronological order as they appear in the books. The order in which Zola wrote is not always the order in which the novels are set. That said, I have not followed the order and am surviving just the same. Two that I recommend are The Belly of Paris and The Debacle. The Belly of Paris is centered on the great Les Halles market and also has an idealistic character. The Debacle is set during the Franco-Prussian War of 1870 and is very anti-war.